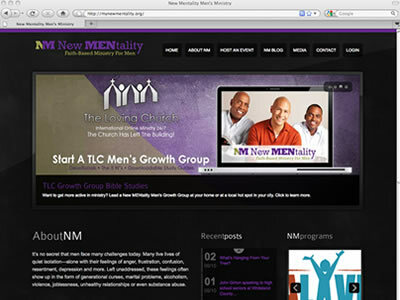 New MENtality Men’s Ministry needed a website to help keep members up to speed on the launch of this new support program. This theme includes video, audio clips, calendar, Flickr integration, twitter integration, and a media section that is out of this world. We also tied the site together with another blogging service called Tumblr which allows us to post small audio clips right to the blog from our iPhones!!!! Awsome huh? This theme is feature rich. And because the content and images were designed by us and ready to go, we had this site up and running in less than 48 hours.